Blue Ceramic Mug: Cabbage soup and an awesome surprise!!! Cabbage soup and an awesome surprise!!! My mom phoned me this morning asking if I'd make her a batch of cabbage soup. I gave her my recipe last year after reverse-engineering this canned cabbage soup we used to buy that's no longer made (DAMN YOU, HABITANT!!!!). But she says that when she makes it, it never turns out quite right. So I got there this afternoon, and there were two cabbages and the other ingredients needed to make soup :) I managed to injure myself a couple of times (one cut was actually quite deep and I BLED -- that's an unusual occurrence for me, so somewhat noteworthy -- and no, I didn't bleed in the food. But all in all, it was a triumph and enjoyed by all. In a large wok (you can use the pot itself, but a wok is easier), heat the olive oil. 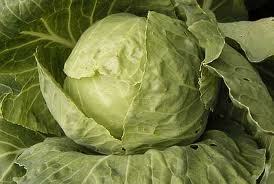 Over medium heat (4 or 5 on the dial), sautee the cabbage, onions and celery seed, stirring often to prevent scorching. Continue cooking, covered, for 10-15 minutes until the cabbage is soft. Add the water and beef soup base to dissolve, increase heat to maximum. Add the carrots and pepper, bring to a rolling boil. Reduce heat to 3 and let simmer for 2 hours. Season to taste with additional beef soup base powder about 15 minutes before serving. This soup is freezable, you can add to it (say you have leftover vegetables, or it's getting a bit too chunky, just add more beef broth, or even V8 juice) and it's filling yet light :) Very versatile and everyone who's tried it has loved it!